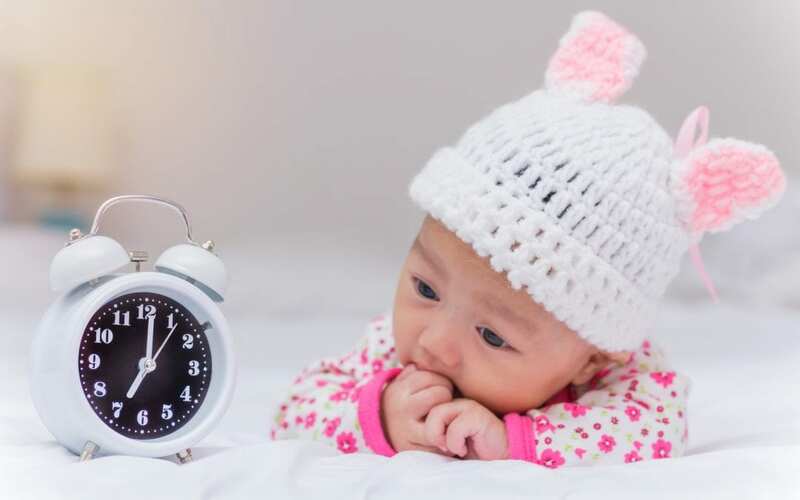 British Summer time, Daylight Saving, Spring Forward/Fall Back…whatever you call it, the day the clocks change can put fear in to the hearts of new parents who have never had to deal with it before but don’t worry ! It is not difficult to ease your baby into the new time, and I will be explaining what needs to be done, and sharing some tips on how to do it. This post is focusing on the autumn change where the clocks go back by an hour, and everyone gets an extra hour in bed…except parents of young children of course ! I advise parents to work on the feeds first, rather than sleeps because feeds are usually at more of a set time, and tend to form the scaffolding that routines are based around, so once you have the feeds in place at the right time, the sleeps should fall into place around them. Parents make things more stressful than they need to be by trying to get this hour sorted all in one go and if that happens easily then great, but if not then just aim for 10-15 minutes delay for each feed throughout the day. This achieves exactly the same result, but is more manageable with new babies/parents, and with babies with more complex needs, or with less compliant temperaments. If you are lucky and your baby is a good sleeper, and you normally wake them for the first feed of the day your best approach is to just leave them asleep for an extra hour if possible. This same approach can work if you have a baby that is easily pacified by using a dummy, white noise, or by cuddling, holding, or rocking them back to sleep (even if that is only a very light sleep) – just be sure that if you are holding them in bed, you are not in any danger of falling asleep yourself and dropping them. If you can delay the feed by a whole hour at the beginning of the day then just treat the rest of the day as you would any other. You might have to do a bit of juggling with sleeps, either shortening or extending them, but try and keep feeds to the new times and baby will quickly adapt. If you have a baby that wakes for the first feed of the day at the old time and is not great at being re-settled, or being distracted then don’t even try to push for the whole hour, just try to delay each feed through the day by 10 mins. You can use all sorts of tricks for this such as carrying baby round the house, passing baby between parents if you have that option, using dummies, looking out of windows, singing, dancing, watching tv or listening to music. Another good delaying tactic is to take baby out for a walk in a pram or a sling and you have the option of trying to get them to go to sleep, stay asleep longer, or be distracted by what they can see around them. As you go through the day always keep an eye out for any opportunity to seize a few extra minutes for example if baby is asleep out on a walk and it is nearing a feed time, then if you have time, just keep walking for an extra 10 or 20 minutes. If you have visitors and baby is happy just watching what is going on, then make the most of the distraction and delay the feed by as long as you can. If you have a baby that sleeps well in a car, then try and incorporate a journey into the day at a strategic time and let them sleep until the next scheduled feed. The sooner you push baby back on track, the sooner you can relax, but don’t worry if it takes all day. Once they are back on the correct feed times it usually only takes one night to get their sleep patterns to adjust. There are no right or wrongs about this…it is just a case of you knowing your baby and using that knowledge to nudge them forward onto new feed times in a way that suits both them and you. The worst that can happen is that you get things a bit wrong and you end up with a grumpy baby but that is ok…it happens to the best and most experienced parents and carers. Just keep going and wait for any opportunity to push baby a bit nearer the new feed times and you will get there, I promise. He has a bath then and is always tired, and has to be woken for the third feed so I can leave him for perhaps 20 minutes extra sleep, though I might have to rock the cot a little to keep him asleep, so now I will have pushed him forwards by 30 minutes. I also know that for his afternoon nap, just before the fourth feed he always wakes up on time and screams for his food, but, if he is out in the pram in the park when he wakes up he is happy to look around and doesn’t cry so I’m guessing I can get at least another 20 minutes before he gets impatient. This means that by the fifth feed I will have pushed him forwards by 50 minutes which is near enough in my books, so he will be more or less back on track with the new times by late evening. I will then just treat him as I normally do and everything will have fallen in to place by the following morning. Discussing timings like this are always difficult to put in to words but I hope this has helped to explain the process of adapting to time changes, and has given you a few ideas. Super useful post! Id forgotten about how to deal with this for baby number two so thanks for the reminder. Would these tips apply for dealing with flying and different time zones? Our baby is/was a night owl and I’m going back to work soon. I teach high school so work for me starts at 7:15, so it is not conducive for our baby to remain a night owl if I am to survive my dual roles. We’ve been trying to up his bedtime and we finally have him going to bed by 9. Ideally, I’d like him in bed by 8. In my mind, “falling back” could be the thing that gets us to our ideal schedule. Am I delusional? Should I still try to delay feeds? Hi Ali, you didn’t mention how old your baby was but the method of changing everything gradually by 15 minutes at a time is very gentle and could be used for any age so I would say if you think it might get you the extra hour you need then go ahead and try. 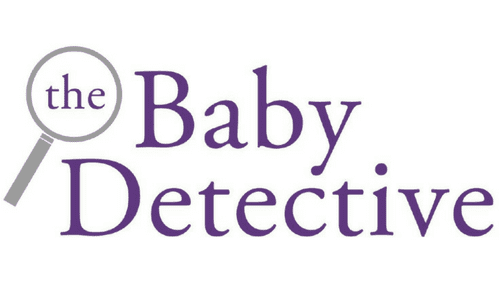 If you feel you need more help just get back to me at thebabydetective@gmail.com and let me know how old baby is, what time meals and naps are etc, and I’ll try to help you work through it until you get a more manageable routine…you will be exhausted pretty quickly when you go back to work with your little night owl !